1 Corinthians 13:4-7 - Love is patient, love is kind. It does not envy, it does not boast, it is not proud. It is not rude, it is not self-seeking, it is not easily angered, it keeps no record of wrongs. Love does not delight in evil but rejoices with the truth. It always protects, always trusts, always hopes, always perseveres. Many views were revealed but what really spoke to me was "it keeps no record of wrongs". When you really love someone and caused you pain, you can forgive them but can we really forget? During conversations or some angry moments or confrontations, we sometimes look back into the past mistakes so we can't move on. But if it is true love, we should forgive and forget as love is kind. 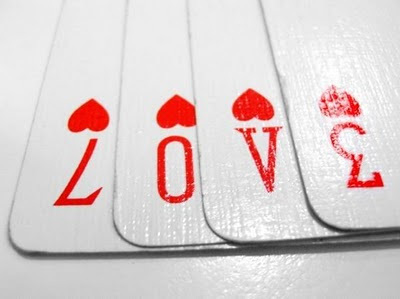 Love is a very simple word but with a broad and wider meaning. We should also have a longer patience so that we can avoid to be mad easily, prayer is the best tool to garner such characteristic. Love is such a wonderful feeling but shouldn't be only about romantic instances. Love should also be provided to your loved ones, parents, siblings, relatives, friends or even enemies. James 3:1-12 - 1 Not many of you should become teachers, my fellow believers, because you know that we who teach will be judged more strictly. 2 We all stumble in many ways. Anyone who is never at fault in what they say is perfect, able to keep their whole body in check. 3 When we put bits into the mouths of horses to make them obey us, we can turn the whole animal. 4 Or take ships as an example. Although they are so large and are driven by strong winds, they are steered by a very small rudder wherever the pilot wants to go. 5 Likewise, the tongue is a small part of the body, but it makes great boasts. Consider what a great forest is set on fire by a small spark. 6 The tongue also is a fire, a world of evil among the parts of the body. It corrupts the whole body, sets the whole course of one’s life on fire, and is itself set on fire by hell. 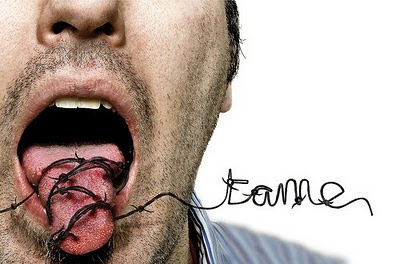 7 All kinds of animals, birds, reptiles and sea creatures are being tamed and have been tamed by mankind, 8 but no human being can tame the tongue. It is a restless evil, full of deadly poison. 9 With the tongue we praise our Lord and Father, and with it we curse human beings, who have been made in God’s likeness. 10 Out of the same mouth come praise and cursing. My brothers and sisters, this should not be. 11 Can both fresh water and salt water flow from the same spring? 12 My brothers and sisters, can a fig tree bear olives, or a grapevine bear figs? Neither can a salt spring produce fresh water. As a Christian, there are expectations and traits that others are looking into us. We share His words, explains to others and we ensure that they understand it. But sometimes, it is unavoidable to say such words that might hurt or offend others when we are in the situation of pressure or anger. Our tongue is very powerful as every word we say might affect others whether positively or negatively. Tongue is being used for praising and worshipping Him but sometimes being used to do face to face assaults and/or behind the back attacks. Gossip and slander is also a wrong doing that we sometimes commit. We can avoid this by communicating to Him and seek for assistance and guidance, ask for forgiveness and learn to control anger. How can we praise Him if we also curse or hate others and speaking unnecessary words. Before, I use the "F" word a lot but have managed to control it and gave a new code for it, I now say "Farm" or "Firm". He is a forgiving God, ask for forgiveness and learn from our mistakes and ensure that we live a healthy life by reading His words and put it into our daily lives. It will be a continuous struggle for us to tame our tongue but it will be a lot easier if we are with Him.